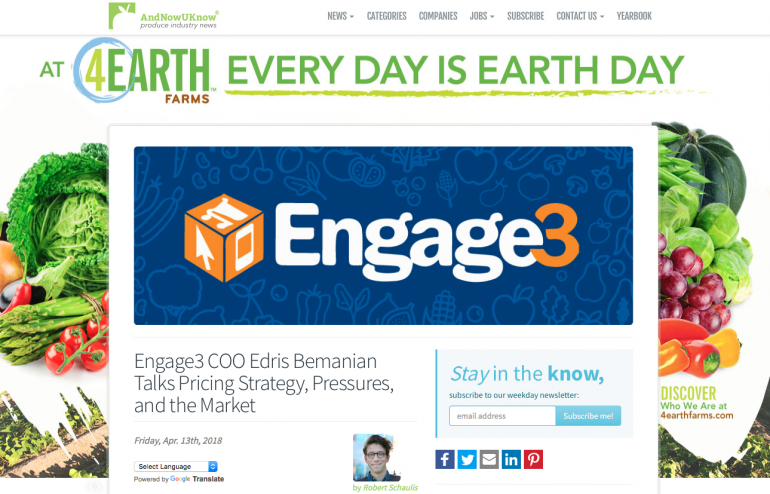 Last month, Robert Schaulis of Andnowuknow interviewed Engage3 COO Edris Bemanian on his observations of pricing pressures from the likes of Amazon and Lidl. “The biggest trend is that pricing and assortments are becoming more dynamic and localized,” Edris says. He notes that e-commerce is now becoming a fundamental part of retailers’ strategies versus just a “me too” approach. Read the full article in Andnowuknow.com.